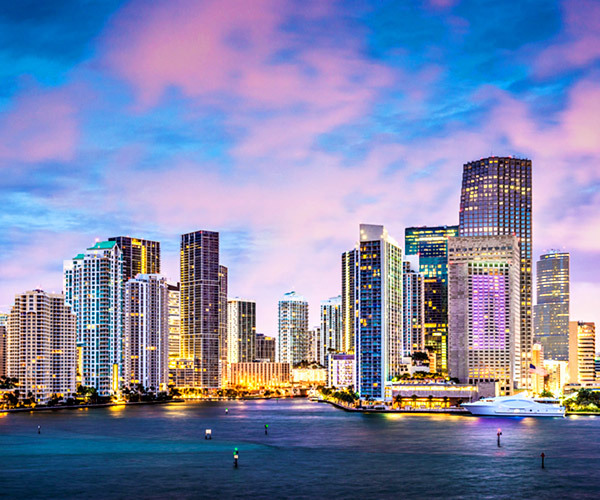 Downtown Miami is an urban residential neighborhood, which is based around the Central Business District of Miami. Bayside Marketplace and Marina, an open-air shopping mall, is where most tourists flock to when they visit Downtown Miami. The closest historic structure to Bayside is the Freedom Tower, which was modeled after the Giralda tower in Andalucía, Spain. The former headquarters of the Miami News and Miami Metropolis, the tower got its name after it became a processing center for Cuban immigrants during the first wave of exiles in the 1960's. Standing at Bayside's entrance, you can't miss this magnificent building - just cross carefully over the wide lanes of Biscayne Boulevard to get a closer look. Take the Metromover, Miami's light rail, free of charge to. The Metromover has three loops - Omni, Downtown and Brickell: Omni takes you as far north as the the School Board, with the Miami Herald and Adrienne Arsht Center for the Performing Arts along the way; Downtown circles the business and shopping district; and Brickell travels as far south as 14th street. Courtesy of Stacy Robins Companies, Inc.